This study was carried out to assess the vulnerability of the shallow aquifer in the Foumban locality (West-Cameroon). Foumban is a savannah zone where the climate is that of a humid tropical mountain. The geological substratum consists of plutono-metamorphic rocks on which volcanic outflows (plateau basalts) are found at some places. During the period from September 2013 to August 2014, 40 wells were subjected to a piezometric monitoring coupled with the DRASTIC method applied in three small representative areas of the Foumban locality. From a hydrodynamic point of view, the wells with the water fluctuation that do not exceed 2 m are located in the low relief zones and at the level of the slope failure zones where the altitudes are less than 1135 m, whereas the fluctuations ranging between 2 and 6 m are observed in the high relief zone. The piezometric variations generally follow those of rain with nevertheless some relative particularity. These reactions are related to the physical and hydrodynamic characteristics of the study area. In terms of the vulnerability of the aquifer, the DRASTIC method show that the study area can be sub-divided into low and moderate vulnerability risk zones. The first most vulnerable zone is the Nga basin followed by Lompit and Mfomchout basins. The sensitivity analysis and the multivariate statistical tests show that the depth to water table and the impact of vadose zone were the most significant parameters in the vulnerability assessment. This study could be more useful for sustainable water resources management and aquifer conservation. The online version of this article ( https://doi.org/10.1007/s12517-019-4328-x) contains supplementary material, which is available to authorized users. The author thanks Pr. 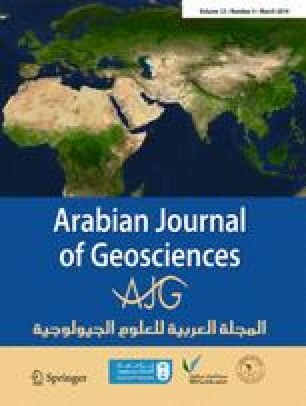 Abdullah M. Al-Amri, the Editor in Chief of Arabian Journal of Geosciences, the Associate Editor, and the two anonymous reviewers. The authors thank the PAFROID educational grant program “Number HDP2A”, UNESCO through ANESI scholarships programs, Laboratory of Mineral Resources and Environment of the Department of Geology, Faculty of Science, University of Tunis El Manar.